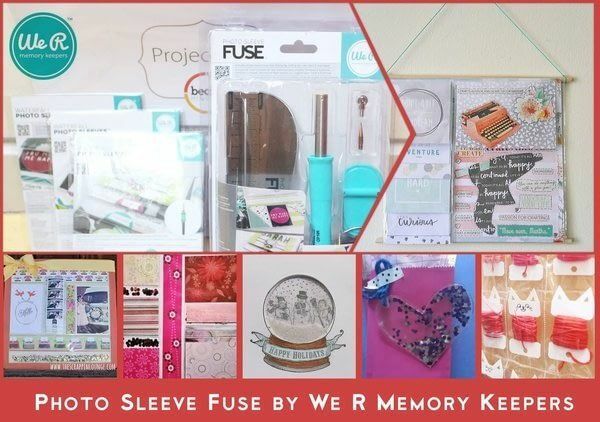 Our Sidekicks are getting creative with the Photo Sleeve Fuse from We R Memory Keepers for today's #CraftTest and creating a range of papercraft projects for you to try at home. Want to win a Photo Sleeve Fuse to try for yourself? Click below! This is a one of a kind tool. Taking crafting to the next level. If you think it, this tool will do it. I feel as if the Fuse tool is a must have in everyones craft room get yours today! I'd been on the hunt for a great way to organize my embroidery threads for ages when We R Memory Keepers sent me their Photo Fuse tool and some photo sleeves to test out. It was so easy to fuse and cut the sleeves, making pockets to the perfect size for my supplies. I'm tempted to organize my whole craft space with them! The Fuse tool was extremely easy and fun to use. I was impressed by how nice the seals turned out. I didn't need to use the cutting tool but I'm sure that it works just as well. Be sure to test the plastic that you are sealing/cutting to know that it will fuse properly. 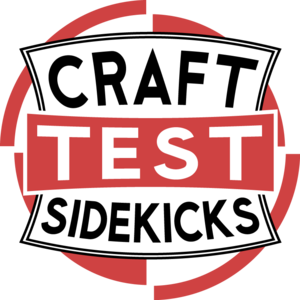 I can see myself using the Fuse tool to create all kinds of projects. I plan on making cards, bookmarks, pocket page with custom pockets for my planner and even more scrapbook pages. After completing my project, I was very happy with how the whole thing turned out! The fusing of the plastic (when using the Fuse Tool) created a strong bond which didn't pop open or come apart. With that being said, I think it's important to mention that this Fuse Tool comes in different ''versions''. For example you have a U.S, AU, UK and EU version. All in all, I was very happy with how my project turned out and would consider buying more We R Memory Keepers products in the future! I like the Fuse tool because you can do so much with it. It allows you to create anything from shaker cards and picture pockets for layouts to even your own small bags for jewelry makers to use. It's not limited to just one thing and everyone can use it! The product is pretty strait forward and easy to use. You do not need to wait long for it to heat up and it is small making it easy to tuck away after using it.